Collected works of Acharya Narendra Dev (1889-1956), a socialist leader, scholar and educationalist. Collection of some important seminal essays written at different times, description of his evocative childhood, story from his own perspective of the launching of Bengal Chemical, some of his important presidential addresses (some articles in Bengali). 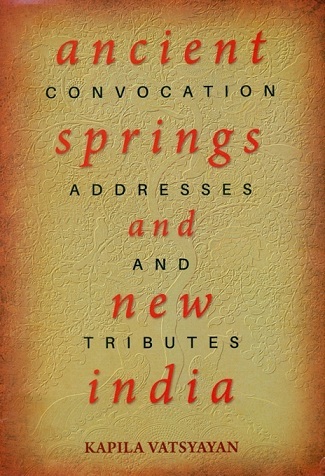 This book unfolds the multifarious aspects of Ambedkar's life, as he was both unique and versatile. Complete works of Amritlal Nagar, b.1916, Hindi author. ;Vol.1: 8170280303;Vol.3 and Vol.7 are out of print. Collection of stories, poems, songs, ghazals, articles, memoirs etc. of Mudgal (b.1939), a Hindi literateur and forma editor of `Sarika', a Hindi feature magazine. Khand 1: Tarksastra 1-3; Khand 2: Kartavyasastra, pascayatya darsanon ka itihas; Khand 3: Navras, sahitya aur samiksha; Khand 4: Siddhant aur adhyayan kavya ke rup; Khand 5: Hindi sahitya ka subodh itihas, Hindi sahitya ka sankshipta itihas, rahasyavad aur Hindi kavita; Khand 6: Alocana Kusumanjali, Hindi kavya-vimarsa, Hindi nataya-vimarsa. Balkrsna Bhatt racnavali, 4 vols. Balkrsna Bhatt (1844-1914), was a leading light of 19th cent. renaissance and nationalism. Join our Mailing List! Receive email updates on New Releases and Special List. www.bibliaimpex.com is not be responsible for typing or photographical mistake if any. Prices are subject to change without notice. © 2003-2019 BIBLIA IMPEX PRIVATE LIMITED. All Rights Reserved.